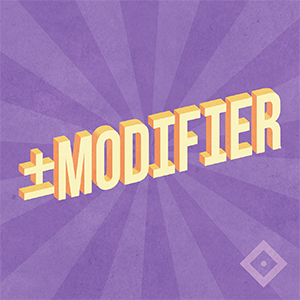 Modifier is an interview show hosted by Meghan Dornbrock all about why and how people change games. Episodes tackle accessibility, homebrews, system conversions, and that Apocalypse World hack you’ve secretly been working on. From the hobbyist to the professional, from house rules to publication, we all have in mind a better way to play. Meghan Dornbrock knows that books are true magic, and has a weak spot for storytelling rogue-kings. 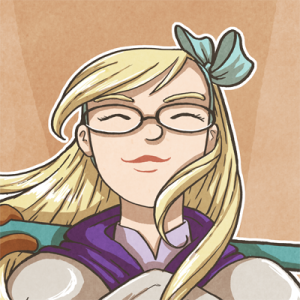 An artist, animator, and all-around games enthusiast, she’s fascinated by the many different ways there are to tell a good story and is eager to see what’ll come next. Eventually she will die on Mars, but currently she lives in the uncool part of Brooklyn. One time she made her brother hold a frog and he hasn’t really gotten over it. Fraser is back with another cyberpunk adventure, this time a climate-fiction inspired take on Blades in the Dark. We talk about the vastly different ways players can interact with the lore and how this cli-fi blend looks at old cyberpunk tropes in a new way. Expedition is an RPG system that combines cards and a mobile app (all free, all open-source) to streamline the RPG experience, allowing you to play the way you want to. Built to be modded, Todd shares the strengths and challenges of playing the Expedition way, and may be just the project you were looking for! John Harness got 280 characters on twitter before it was the norm, and decided to turn it into a game design challenge. Paul Czege answered the call. We talk about the challenge, what we can learn from small games, and take a look at the amazing contributions. Iron Edda is a game that exists across several systems and has a second edition in the works, and Tracy Barnett joins us to talk about how it got that way. We discuss what makes something an Iron Edda game, what different systems bring to the fiction, and where it’s headed next. What goes into bringing an existing game into a brand new setting? How should you approach writing settings that are unfamiliar to you? James Mendez Hodes talks about all that and a bunch of other cool stuff! 7th Sea is a game about being an awesome hero, but there’s more than one way to be a hero. John talks about the Western and Eastern hero archetypes, and how they’ve been working on modifying the existing 7th Sea system to tell new kinds of hero stories. Monte Cook of Monte Cook Games is here to dig into what Numenera 2: Discovery & Destiny is all about. We look at how Numenera & Cypher System’s unique structure allows this new edition to work seamlessly with the one on your shelf right now, and the cool new cyphers coming your way.